We have all seen the ripples from that pebble thrown in the pond. We have seen similar good and bad ripple effects from our own lives and the lives of those around us. Bigger than that, today we can see the ripples from a single event in history. Join us Sundays until Easter as we explore this event and how our lives can be different because of it. Event Tip: Tap "Save" to add this event to your Saved Events and revisit your notes any time! Listen to previous messages on our website. We need to look forward and stop being afraid. We need to remove obstacles that stop ripples! We need to look at the eternalnot the temporary. When you lose your fear of death, ALL fear is gone. 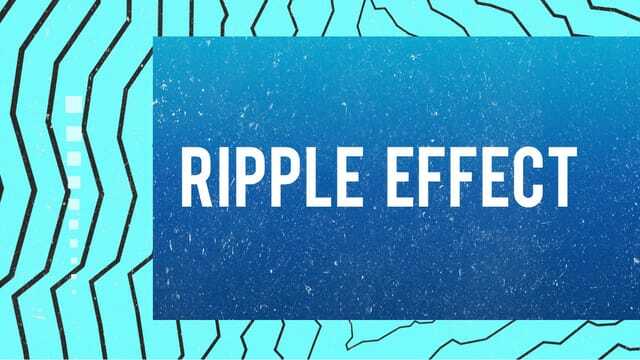 We have to remember what started the ripples. Donating online is an easy and secure way to support New Life Church.